DISCOVER THE JAZZ IN YOU! The rich Philly jazz tradition will be represented in its 21st century incarnation as we open this evening’s festivities with the Orrin Evans Trio, with special guest tenor saxophonist Tim Warfield. 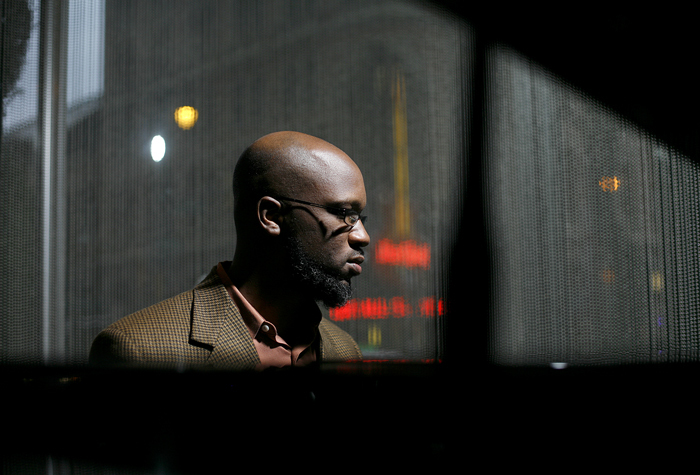 Born in Trenton, NJ, the multi-faceted pianist Orrin Evans, was raised in Philadelphia where he currently resides. Orrin Evans has consistently displayed unique skills as a bandleader of vastly varied and challenging settings, ranging from his Captain Black Big Band to the edgy quartet known as Tar Baby, and the most basic unit in jazz – the classic piano-bass-drums trio. Additionally, For this very special performance Orrin will be joined by the brawny tenor sax of Tim Warfield, the pride of near-Philly York, PA and a MAJF favorite, following up on his stellar performance at last year’s tenor saxophone summit. With his impressive, rich baritone voice, and passionate, folksy approach to lyrics that strike at the heart of the human experience, vocalist Gregory Porter has already made an indelible impression as one of the voices of our time. Porter’s latest recording “Be Good” has garnered high praise, placed high in many 2012 year-end polls, and been nominated for Grammy awards. At the 2012 Monterey Jazz Festival last September, it was startling to see how he totally took over the room, charming an SRO audience into near revival meeting fervor. Above all, Gregory Porter is a very effective storyteller, with an ability to touch hearts that is a unique gift. For this evening’s performance Gregory Porter will be performing with the swinging big band tableaux of the festival’s signature orchestra, the Mid-Atlantic Jazz Orchestra, under the direction of our own Paul Carr. Boasting many of the region’s top-flight players, the MAJO, which made its debut at our 2012 festival working with Carmen Bradford. Tenor/soprano saxophonist-educator and MAJF artistic director Paul Carr is a perennial MAJF favorite. For this set Carr will smoothly morph from Mid-Atlantic Jazz Orchestra leader to front a celebration of the classic tenor/Hammond B-3 organ partnership that is a cornerstone of this edition of the MAJF. PC will engage the superb trio of Chicago’s ace guitarist Bobby Broom, drummer Byron Landham, who certainly knows the territory from his longtime partnership with Joey DeFrancesco, and the unsung B-3 burner Pat Bianchi. This closer is guaranteed to be a soulfully swinging set in one of jazz music’s most indelible traditions. Our Saturday matinee kicks off at noon with a very special focus on one of the earliest instruments of jazz expression, the clarinet. The Clarinet Showcase, will feature Baltimore’s own emerging bass clarinetist Todd Marcus and his Quartet, with special guest clarinet wizard Don Byron. Inspired by the great Eric Dolphy’s transcendent work on the instrument, Todd Marcus shifted his focus from clarinet to bass clarinet as a college student. For this set Todd, who also leads his own orchestra and has become one of the most sought-after and expressive players in the Baltimore/DC area, will face the challenge of special guest clarinetist Don Byron. Byron has long been one of Marcus’ primary inspirations. Three uniquely different but equally tradition-informed women promise to deliver the goods, in what should be a Vocal Summit filled with fireworks and vocal nuances. Last MAJF audiences were enthralled by the heat and honeyed pipes of Carmen Bradford, and DC’s own Sharon Clark (pron. Sha-Ron). Carmen, who was introduced to the world by the great Count Basie, and Sharon, who has been slaying DC , New York, and audiences around the globe, in addition to winning vocal competitions from the Savannah Music Festival to the Billie Holiday prize, will be joined this time by Lynette Washington. Winner of the Jazzmobile jazz vocal competition, Lynette has graced varied bandstands ranging from Clifford Jordan to Lenny Kravitz. Get there early, this will be the kind of passion play that will move your feet and touch your heart. In keeping with this year’s MAJF showcase of many facets of the jazz organ tradition, we welcome young Akiko Tsuruga, whose Quartet will close out our Saturday matinee. Mentored by the Hammond B-3 eminence and Saturday night artist Dr. Lonnie Smith, Ms. Tsuruga is a native of Osaka, Japan and a graduate of Osaka College of Music. For the past few years Akiko has been based in New York, making quite an impression on all who experience her artistry. Akiko Tsuruga represents yet another iteration of jazz as a true global music. In this case the black jazz tradition embodied by the Hammond B-3 organ, comes packaged in the dynamic garb of a young artist from halfway across the globe. Akiko will be joined by two veteran players who worked together in B-3 legend Bro. Jack McDuff’s Heatin’ System unit. Tenor saxophonist Jerry Weldon, a native New Yorker, and Syracuse native trumpeter Joe Magnarelli come died-in-the-wool where B-3 bandsmanship is concerned. Additionally these two veteran hornmen have shared bandstands as members of Harry Connick, Jr.’s big band and their own New York Hard Bop Quintet. Find out for yourself just how deep in the B-3 shed Akiko Tsuruga and her quintet members are as we cap off our matinee with a young artist you will not want to miss. If your taste in jazz piano runs towards equal parts the swinging and the elegant side, leavened with a keen compositional eye, look no further than Larry Willis. A graduate of New York City’s famed LaGuardia high school of the performing arts, Larry Willis actually made his stage debut as a singer in an Aaron Copland opera. As a pianist he is blessed with an impeccable harmonic pallet and an ability to both lead a band and contribute mightily to whatever setting he finds himself in; Larry Willis is an extremely versatile artist. He has been comfortably at home amidst the challenge of a range of classic artists, including Jackie McLean, Lee Morgan and Woody Shaw, as well as his stint in Blood, Sweat and Tears. As a bandleader Larry Willis’ fine sense of composition becomes the focal point, to your guaranteed delight in this evening’s opening set. Joining Larry will be Steve Davis, Trombone; Joe Ford, Sax; Billy Williams , Drums; and Steve Novosel, Bass. For many years women have absolutely dominated the ranks of jazz vocalists. And in recent times, doubtless owed at least in part to the inspiration of such pioneering women jazz practitioners as Mary Lou Williams, Hazel Scott, Melba Liston, and Marian McPartland, a whole new generation of women jazz instrumentalists has begun making their marks on the scene. For this Women in Jazz celebration, vocalist Sharon Clark will be joined by pianist Helen Sung, bassist Amy Shook, and drummer Allison Miller, and alto saxophonist Sharrill Cassity; each of whom is a recording artist and a bandleader in their own right, each of whom have graced auspicious bandstands – from the masters to their peers – and each of whom has been prominently featured on the Kennedy Center’s famed Mary Lou Williams Jazz Festival, the annual celebration of the indelible role of women in jazz. Inheriting the mantle of such great ancestors of the jazz organ tradition as Milt Buckner, Jimmy Smith, Jack McDuff, Jimmy McGriff, and Richard “Groove” Holmes, Dr. Lonnie Smith reigns as today’s king of the Hammond B-3 organ in jazz. With his distinctive white beard, head swathed in an ever-present turban, Dr. Lonnie Smith is most assuredly the leading PhD organ exponent in jazz. From the time he came on the scene alongside George Benson in the mid-1960s, through his stints with Mr. Alligator Boogaloo Lou Donaldson, and his gutsy exploration of the music of Jimi Hendrix, Dr. Lonnie Smith has become one of the most distinct stylists in jazz. A multiple jazz poll winner, Dr. Lonnie Smith has for the last several seasons piloted a trio whose sheer musical range transcends the tight trio format. Alto saxophonist Bruce Williams embodies the spirit of Alto Madness. A proud native of Washington, DC, Bruce made his MAJF debut two years ago on our first saxophone summit. Since then he has continued to make fine recordings for the Savant label. Additionally Bruce has enhanced the bandstands of such masters as Little Jimmy Scott, Frank Foster, and Curtis Fuller, as well as peer Roy Hargrove, and the far-ranging World Saxophone Quartet, as well as drummer Ben Riley’s Monk Legacy Septet. For this performance Bruce Williams’ band will represent our 2013 jazz organ focus by including the Hammond B-3 stylings of Pat Bianchi. Tenor saxophonist Michael O’Neill is a San Diego, CA native who studied with the late, great tenor man Joe Henderson. A composer who has written for orchestra, he has also written for film and currently leads several bands on the San Francisco Bay Area scene, where he migrated after a stint in the Air Force. 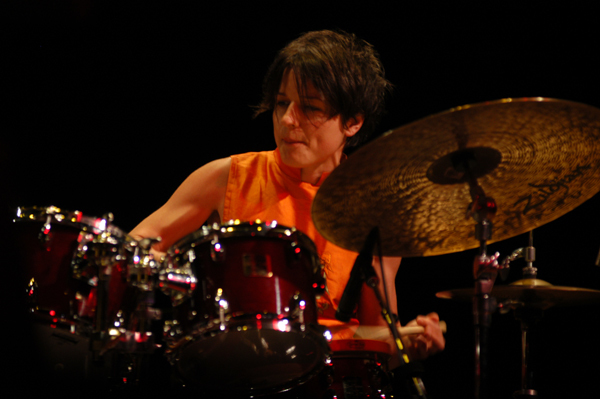 O’Neill has played with such notables as drummer Idris Muhammad, vibraphonist Joe Locke, pianist Michael Wolff and vocalists Giacomo Gates and Jackie Ryan. In that vocal light it stands to reason he also has a musical partnership with one of the emerging male jazz vocalists, Kenny Washington. A New Orleans native, Washington followed a 9-year stint in the Navy band, by relocating to the San Francisco Bay Area. There he also began releasing much-acclaimed recordings under his own name, as well as working with Michael O’Neill. When you look up all-star jazz bands, no band today better embodies that spirit of exceptional bandleaders coming together under one banner than The Cookers. This band features George Cables on the piano, Billy Harper and Craig Handy on saxophones, Cecil McBee on bass, trumpeters Eddie Henderson and David Weiss, and Washington, DC native son Billy Hart on drums. What they all add up to is a powerful ensemble that will more than embody their bold name, The Cookers. The vast experiences of these men would take up this entire book. Each is a bandleader and composer in their own right, and each brings a distinctive voice on his instrument that represents a broad swath of the modern jazz tradition. That they’ve come together under one banner is impressive, and represents an exceptional level of humility in service to the whole; and that whole will guarantee nothing short of a certain Mid-Atlantic Jazz Festival 2013 highlight. Alto saxophonist-educator Bobby Watson made his MAJF debut performance a couple of seasons ago as part of our alto saxophone summit. He returned last year working alongside one of the vocalists who played the MAJF Club space. Our Sunday evening show will be opened by Watson’s first MAJF appearance as a bandleader. Bobby Watson certainly comes by his band leadership skills honestly, having come up under the crucible of one of jazz music’s historic proving grounds, Art Blakey’s Jazz Messengers. Since then Bobby has led his own award-winning Horizon band, and gone on to direct the jazz program at the University of Missouri-Kansas City, which last year released Watson’ succulent tribute to Kansas City barbecue. For this show opener Bobby Watson will be at the helm of a quartet guaranteed to swing hard and deliver the fire. Jazz music is certainly a family tradition within many New Orleans families; look no further than the Marsalis clan and the Jordan family for evidence of that salient fact. The Jordan family includes dad Edward “Kidd” Jordan, the Crescent City’s fierce tenor saxophonist and educator, plus sons Kent and Marlon, on flute and trumpet respectively. But what makes the Jordan family of musicians so distinct is that it crosses gender lines and also includes classical violist Rachel, and the luscious tones of vocalist Stephanie Jordan. For this particular set Stephanie, who comes out of the sumptuous tradition of Nancy Wilson, will pay homage to another scion of the American songbook tradition, the historic chanteuse Lena Horne. Known as much for her multi-faceted career as an entertainer, Lena Horne left a strong spirit in the vocal world as well, and Stephanie Jordan will embody that aspect of Ms. Horne’s legacy. The Mid-Atlantic Jazz Festival will cap off our 2013 focus on the distinguished tradition of the Hammond B-3 organ with perhaps the most noted current exponent of that sound, Philadelphia’s own Joey DeFrancesco. Steeped in the soul side of the jazz coin, Joey DeFrancesco comes by his depth of skill starting with the influence of his grandfather, a jazz saxophonist, and his dad, organist Papa John DeFrancesco. Since displaying his skills at interpreting the work of the great Jimmy Smith as a youth, Joey has gone on to work with a who’s who in the jazz organ arena, as well as a significant stint in one of Miles Davis’ last bands. A longtime recording artist under the HighNote banner, Joey DeFrancesco has established a robust discography and is always in search of the soulful essence of jazz expression.